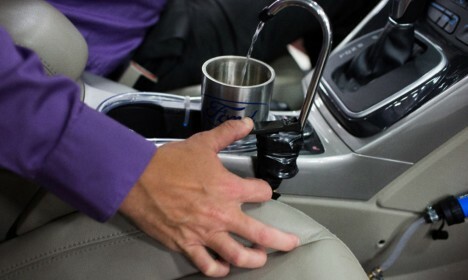 Ford engineers are working on a system that would allow vehicles to collect and recycle condensation produced by vehicle air conditioners, turning waste water into potable drinks on hot days demanding AC use. 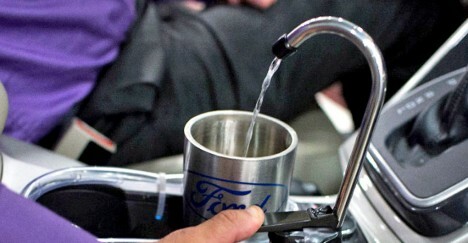 The On-The-Go H2O prototype unveiled by the company is a much simpler version of the envisioned device, but does basically the same thing: humidity is turned into drinking water stored in a tank and ready to dispense. 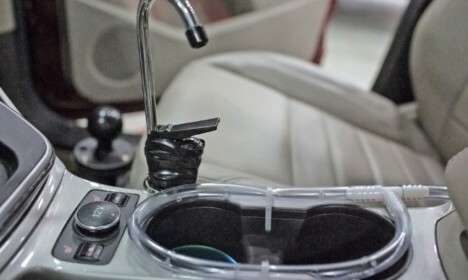 Drivers and passengers will be able to tap into the system via a dispenser faucet situated between the front pair of seats. The technology can generate more than 64 ounces of water per hour, or about four drinking bottles’ worth. It could be particularly handy in hot and remote locations, not to mention saving on bottle production and waste. While there is a ways to travel between concept and reality, the team in Detroit, Michigan, hopes to see this gadget hitting the road as part of vehicles sometime in the near future. See more in Cars & Trucks or under Transportation. October, 2016.